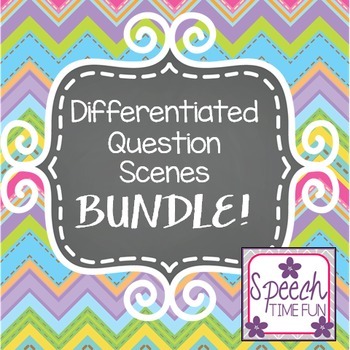 You love all of my differentiated question products individually, and now you can get them all in one fantastic bundle! 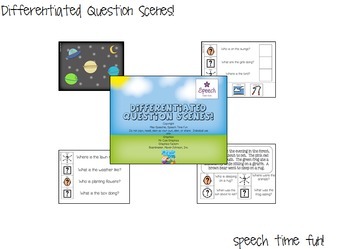 These are really great for mixed groups working on WH questions. Plus, the activities included hit a wealth of common language goals. 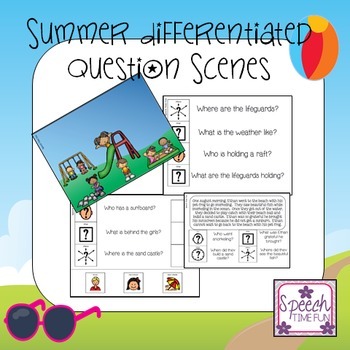 Some teachers are saying they're using resources from this product daily--I bet you'll find that you will, too! 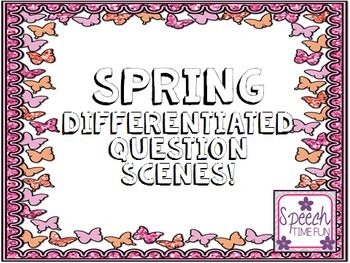 What awesome differentiated question activities are included? "I absolutely feel spoiled with this bundle! I can take this in a group all working on story comprehension, wh questions, etc. and know I have the right tool for all to use!" "Love this. Covers so many common language goals all in one packet." "One of my favorite purchases! I use this daily."